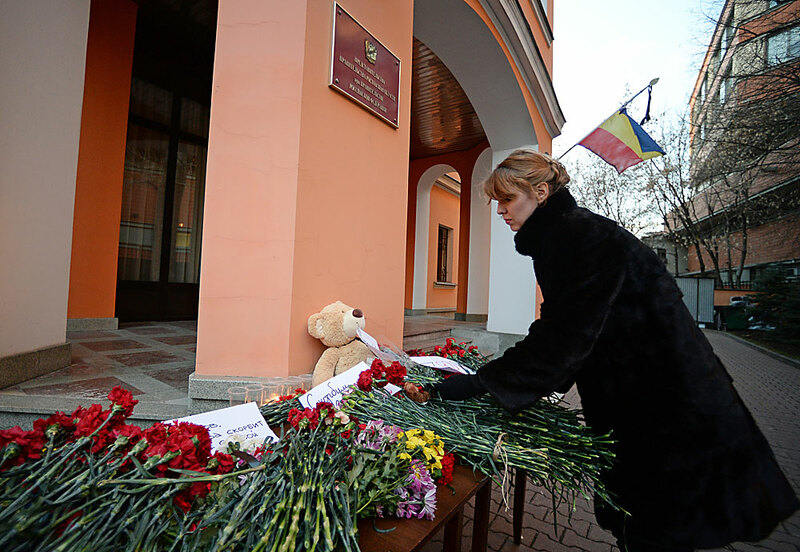 A woman lays flowers in memory of the Boeing 737-800 crash victims in Rostov-on-Don laid outside the Rostov Region delegation office in Moscow. The full deciphering of flight recorders from the Boeing that crashed in Rostov may take at least one month, a spokesman for the Interstate Aviation Committee (IAC) has told Interfax. "Parametric and voice recorders are being deciphered, and preliminary results may be available within a month since the deciphering began. It may take a month or more to obtain final results," he said. Specialists are laying out the plane wreckage, and there are practically no large pieces left there, he said. "The laying out has begun, and the condition of plane fragments differs. Components and assemblies are severely damaged. The engines and landing gear are defragmented," the IAC representative said.